How to beat Ramuh EX! Strategy Guide & Loot list! Find out all about thunderstorms, rolling thunder, overcharge and BALLS! So you’ve gotten to Ramuh Extreme Mode? Don’t be shocked by this electrifying fight! Learn all you need to learn about this encounter – so you can beat up old men – get those i100 rings! This fight isn’t very confusing mechanics wise – It’s all in the Execution, or Electrocution! Defeat the Lord of Levin EXTREME in no time with our strategy guide! Ramuh EX has alot of mechanics that persist throughout the whole fight. Don’t be a chump and take these to heart! 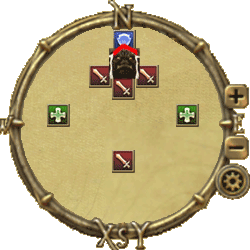 Strategy for Chaotic / Thunder: Use a waymark right behind Ramuh to signify WHERE CHAOTIC affected guys stack. From here we use a numbering system to “save” them. usually from 1-4. If a Black Mage is around usually they are 1. Why? to minimize movement. They stay on the stacking waymark always. Bard & Summoner make the second best savers because they don’t lose much DPS by moving. Healers are the next choice. But they should be lower in the list, since they need to heal. Melee DPS probably make the worst savers. Of course, move out of venn diagrams and unnecessary thunders. When “saving” people from chaos – do not create a Venn Diagram of Clusterf*ckery. There is alot of space to spread out Thunder from hitting one another. In his mind, he is the Venn Diagram. It’s him. – Mahiko “Charles Barkley” San. Thunderstorm > OT picks up 3 > Provoke > Thunderstorm > Random ball “cleanup” > Repeat. a good reminder is around 20s left on immunity – find them balls, son. Six adds spawn in a circle around Ramuh. They don’t really have any remarkable attacks. However, they must be killed before Judgment Bolt is cast. Or else, you guessed it, it’s a wipe. Key: Red Square (Adds), Blue Circle (Chaotic Stack), Paladin Shield (Tank). Position only shifts after each add dies. Waymark should be moved (preferably). 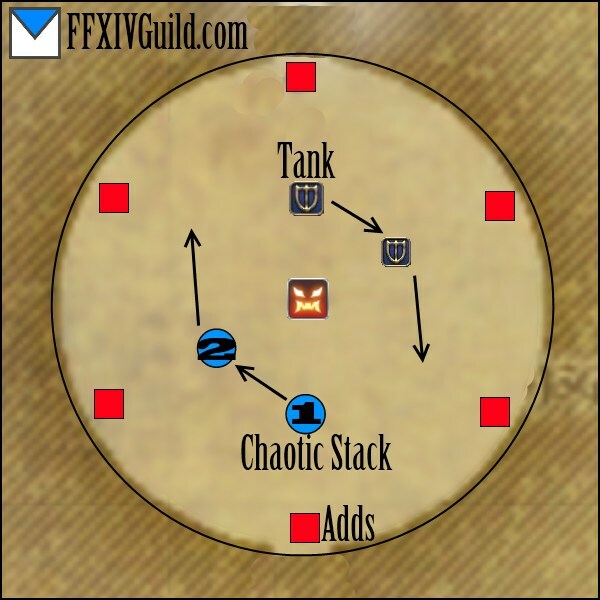 Otherwise, “Chaotic Stack” is always to be between Ramuh and an Add. Upon entering P2, the current tank should overcharge to prevent random BS. This way people always know where to go for Chaotic, DPS wont be randomly cleaved and killed, and tanks wont bother the whole process of killing adds and saving people. Before this phase ends (Judgment Bolt is cast) make sure there arent too many random balls lying around. Rolling Thunder: Creates a tether between two people. If either of these two people do any action, they take damage. The more actions you take, the more shocking the damage gets. Picking up 3 balls removes the tether. A person afflicted by Chaotic Strike may be tethered. DPS should STOP COMPLETELY until tethers are broken. Healer should only use LARGE HEALS when absolutely NECESSARY. OFFTANK should have tether cleaning priority since they need the insulation anyway. DPS should be next in line not to bother healing. Healers should stay still (unless tethered to each other). Healers who aren’t tethered should put up shields/regen on those who are, to be safe. Nothing much else happens in P3. The adds spawn again but they cannot be targetted. They only do random lightning lasers which should be avoided! Ramuh drops i100 rings and i100 weapons. A ring drops every time, but the weapon is quite rare. Again, this is our in-house strategy, and what we used in our first kill. If you have any suggestions or something to say – hit the comments below! Moogles! Moogles Everywhere! If you’re saying “What killed me? !” – Read on! How to bring the Good King to heel in our Thornmarch EX Guide! You’ve walked into Thornmarch extreme – then that means you’ve recently said “WTF”. Good King Moggle Mog is a pretty confusing fight, but once you get used to it – It’s a breeze! Use our handy dandy guide not get killed by seemingly random things again! Phase 1 -> Kill 1 Moogle -> Phase 2 -> Kill 1 Moogle -> Phase 3 -> Kill All Moogles -> Kill King (mini-phase). “Moogle Basic Abilities” and “King Skills” will be active the whole fight. “Weird Stuff” will only appear in P2 and P3. This is all discussed below. Paladin, Warrior and King Moogles have an aggro table. BLM, WHM, BRD, and Thief Moogles do whatever they want. Paladin & Warrior – They each give a debuff that, long story short, makes tanking both of these moogles simultaneously impossible. Tanks should pick up one each. 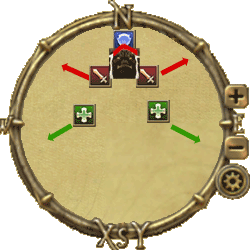 Archer – Focuses on a random target and does a few basic attacks. Thief – Approaches a random target and stabs him or her. These abilities continue during the entire fight. If you’re looking for their “ultimate” abilities, and how to deal with them, that’s found in Page 2. Delta – A combination attack between the Bard, Thief & Archer creating a triangular area of near-certain death. The damage is affected by the total amount of moogle buff stacks all participating moogles! This will leave you at critical HP in the best case scenario, but will most likely one-shot you. Staying away from the middle is the best defense versus delta, but you can also see it coming thru A) A buff on a moogle called “Pombination” which has 3 moogle faces on it. B) Them talking about “Delta! Delta!” & Moving for no reason. Cleaving attack that reduces mana (Skill name unsure). So healers watch out for this! Moogle Creation is a generic, but thankfully weak, laser attack. 1000 Kuponze Swing – A slow clunky double cone effect targetting the person who gets a cross-hair. Shouldn’t be a big deal. This skill comes from the two tanks. Positioning is very erratic in this fight, but one things for sure: Tanks must be along the outer ring. “MT” gets Paladin or Warrior + King, “OT” gets whichever the MT didn’t. Once the moogle buff reaches 3~ OT provokes king until his guy reaches 3~ stacks. Tanks can focus target the opposite moogle so they can easily see when they need to taunt. Tanks must also remember to position away from Archer & Thief Moogles. Swap the King when the current MT’s secondary moogle has high stacks. DPS adjust accordingly, while avoiding middle if possible. Healers have no reason to stay away from the edge, and SHOULD NOT BOTH BE TOO CLOSE TO PALADIN MOOGLE (More on this in “weird stuff” section). Heads or Tails!? Don’t let this fight be 50/50! Learn how to smash Leviathan EX in our Whorleater EXTREME Guide! So you’ve made it to Leviathan Extreme Mode, eh? This is an extremely fun fight that starts with lame music (but makes it up later)! Let our epic guide help you out beating Whorleater Extreme! Body Slam Dodging Tips: Look at one side only. If you do not see the geyser – run forward! It only means it’s behind you. Using headphones also helps! If he spawns in A – run to B! If he spawns in B – run to A! It’s quite easy to dodge, honestly, but panic and or complacency can get the best of us! Just remember in the later phases – this means instant Death. So get used to it quick! (See diagram on right) This may be extremely disheartening at first for newer players, but after you get used to it, it’s a piece of cake! This ability is popularly called Divebomb, after Twintanias skill. To make matters worse, These water balls fall from the sky on random raidmembers before each Spiral Dive. It does significant damage and a slow. This skill has some quirks, though. If he begins his Divebomb on the North Side (Vertical), the next Divebomb will start from the South (Could be Vertical of Horizontal). Horizontal Divebombs are trickier, though. He will also always begin his dive from the side he was tanked at. This skill is often followed by “Oh Sh*t”, excuses or both. Leviathan spawns two kinds of adds (that fight back). In our FC we call them the Fat, and the Thins. There are many strategies as to which tank pulls which add. One pulls both is fine, or one each is also fine – really depends on what you guys are used to, and what your composition looks like. Have a tank pick this one up (Usually the tail tank). If you’re the tank remember this – After the fat casts his 3rd skill, start chain stunning. Kind of like DK’s in T5. This can be hard if you have two warriors. You see, this guy gets very pissed off after three skills. He casts one of two things, both with extremely unfavorable results. Dreadstorm leaves a circle on the ground, that if stepped on, causes you to run around in fear for 9323478 seconds, and you can step on it again while feared. If the railings are down, this can cause you to walk off. Dreadwash is a medium AoE shout that fears you for roughly 9323478 seconds, If the railings are down, this can cause you to walk off. Yes I copy-pasted that. This add is often followed by “Oh Sh*t”, then “Where’s the Stun!?”. Majority of the fight, the two tanks split up tanking the Head and Tail. Each end has it’s own abilities. Leviathans head reflects ranged physical damage, and cannot be back attacked – so Magic DPS should target this. Dread Tide – A line attack that comes from the head. Hits fairly hard, about 3000 damage on a tank. Main tank should position himself away from the raid, especially during adds phases. He usually does this after 3 basic attacks or around every 25 seconds. Tidal Roar – Raid wide magic damage. Insignificant in the early stages – massive later on. Can be Virused or Dragon Kicked to help reduce it a bit. Water Spout – An AOE attack originating from both healers. Make sure to split up. Leviathans tail reflects magic damage, and is always a flank/back attack – so Melee DPS & Bards should target this. Scale Darts – A single target attack that comes from the tail. Hits a tank for about 1500 damage. Tail Swipe – A frontal cone attack that comes from the tail. The damage is shared among all targets hit. Ranged guys make sure to get out of this. A Debuff that is applied to whoever has top emnity on the tail of Leviathan when it appears (usually tanks). Briny Mirror is an annoying debuff that applies a stack each time you heal the person who has it. Each stack reduces healing range. Upon reaching 16 stacks – the healer is stunned for a significant time! WHM Stoneskin doesn’t give stacks. REGEN and its ticks don’t give stacks. Stacks are, at times, unavoidable. If you have to get one don’t be too stressed about it. Medica / Succor will likely get you one. But dont sweat it – if you manage your heals well, you’ll never reach the dreaded 16 stacks, or even get close to it. After the Divebomb / Slap phase, make sure you be extra careful in waiting for existing stacks to fall off before you AoE heal again. (Or simply position so you wont hit the guy). That’s it for Page 1. Understand these mechanics first of all! Page 2 has what we know of Levi’s Phase Transitions. *Still the teaser vid -> will be updating soon. Ultima Weapon has a bajillion abilites, and a very entertaining fight! Garuda appears on the screen then releases a HUGE AoE cone in the direction she’s facing. Don’t linger on the edges, or you might not make it to safety. Due to the nature of these abilities, it’s best not to stay too near the edges of the stage. In/Out Plumes – The usual outer ring / inner cluster plume formation. Keep the same positioning mentality as the Garuda phase. Plumes + Crimson Cyclone – This is a pretty fun one. Radiant Plumes happens while a single Ifrit does his “Line Rush” skill. Magitek Ray – Much like piercing laser from ADS. A thick randomly targetted line AoE. Magitek Bit – Little adds that point and shoot lasers at random targets. The first pattern they spawn in is a circular group of. Freefire – AKA Airship bombs. The glowing cross-air on the floor represents its epicenter, and the further you are from it, the less damage you take. Ultima Weapon drops Item Level 80 Chokers and Bracelets. Don’t get caught in a laser! All we know about Good King Moggle Mog in the upcoming 2.1 Patch! A bunch of adds – It seems that Good King Moggle Mog has brought a full party of his own! The fight is quoted to be “About as difficult as garuda hard mode”. This page will be converted into a strategy guide as soon as we can! All we know about Titan Extreme Mode in the upcoming 2.1 Patch! Double Granite Gaol – Granite Gaol is back, but has a few new tricks! ALWAYS targets a healer + dps. Crushes the target if not destroyed in time. Damage recieved is half if both gaols are in close proximity to one another. Upheaval – very similar to demon walls “repel”. You get pushed outwards from titan. You CAN fall if you’re not careful! A) Gaoled Healer under titan, Gaoled DPS at the edge – “Safer” since healers break out first, to top up the party for the upcoming stomps. B) Gaoled DPS under titan, Gaoled healer at the edge – What we use, since the dps gets released first, the second gaol dies faster. Mountain Buster – Now gives a stacking debuff which increases damage taken. Granite Gaoler – mini-titans that give the main titan a determination up buff if too close, they also have Landslide, and an AoE pulse (like Tumult). Killing them leaves a slow field that does a massive heavy and DoT to anyone who walks there! “Asterisk” Bomb Pattern – A Strange bomb pattern with 3 sets. the “X” set. the “+” set, and the center bomb. The + Set will always spawn in N,S,E,W. (These blow up first) the X spawns at “1:30 – 4:30 – 7:30 – 10:30”. (These blow up second). Then finally the center. The timing of the bomb blowing up is considerably slower than hard mode. For many of us, that delay is what caused the most difficult adjustment. 5 Direction Landslide – an upgrade from the 3 direction: The tank has to dodge, too! Double Weight of the Land – exactly like weight of the land but it happens twice in succession. all non-tanks should stack behind titan, dodge outwards, then dodge inwards. Sounds horrible, but much easier than you think. 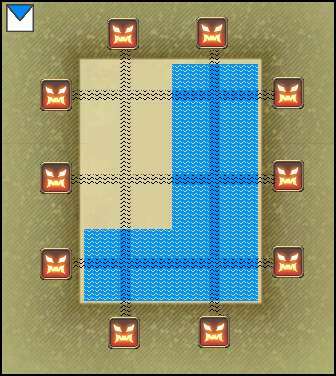 “Superbombs” – a bomb pattern with ZERO SAFE SPOTS. You must kill one of the (preferably) edge bombs to remain safe! A pseudo DPS check. It is currently unclear to us how or when this pattern continues, but it should be dying much sooner than this. *Titans Heart should be killed at or around this time… if Titan extends past this time he does a super combo which is pretty difficult to dodge – effectively killing you with earthen fury even if your party killed the heart. All we know about Ifrit Extreme Mode in the upcoming 2.1 Patch! Radiant Plumes, Incinerate, Cleave and all his goodies make a return. Just a bit more beefy now! Eruption – Now non-interrupt-able. There are variations of the basic single eruption, and the eruption that follows two different members (Like Ultima Weapon). Crimson Cyclone – Ifrits rush skill. Now with a much fatter AoE and 4 clones! 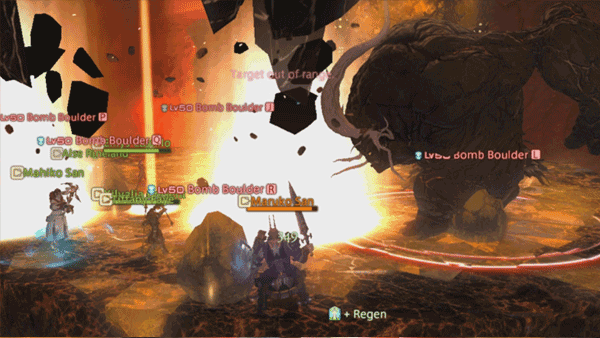 Searing Wind – The key mechanic to Ifrit extreme mode. Always targets a healer. 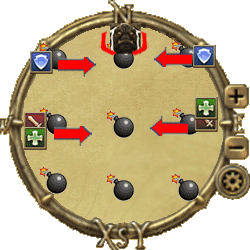 The target continually pulses a large AoE pushback. This does massive damage, and all other party members should avoid the afflicted healer. Tank Swapping – Ifrits stacking debuff is especially nasty. Reduction of max hp for each stack – switch it up once the OT is clean! Infernal Fetters – A chain that links 2 people together, it has 3 effects, becoming more severe as their distance grows. Obviously, stay close to each other to prevent this. Infernal Nail – now causes damage and vulnerability up when killed. As usual, any nails present before Hellfire is cast means a KO for the party. Ifrit has three Nail -> Hellfire cycles. The first set of nails are pretty basic. 4 nails, 1 on each edge of the map. All dps should focus on the nail opposite from Ifrit, then once the searing wind target is determined melee may destroy the nail of the “safe” healer, and ranged on the “dangerous” healer. Hellfire is cast and then then Radiant Plumes quickly after. The safespot changes after each Hellfire. Every safespot has a “mirror” safespot on the opposite end. If you feel like you won’t make it – just get hit by one. It’s better than dying. Radiant plume safe-spot is around 1:30 for this one. The second set of nails goes all the way around the ring of the stage. Again, kill the opposite nails(melee), and nail nearest ifrit(ranged). When searing wind is refreshed, ranged and melee should clear the nails of the respective healers. Infernal fetters makes its appearance here. The off-tank is targetted, and a random DPS. DPS and off-tank should travel closely together. This can be tricky when a tank swap is needed. Make sure that while the chain is on, you do not stay too far apart from each other. Again, Hellfire is cast and then then Radiant Plumes quickly after. The third and final set of nails are, well, everywhere. with one mega nail in the middle. 13 Nails in total. The large nail should be killed last. After identifying which healer has searing wind, DPS must work on the nails closest to healers, then outwards. Killing the large nail does quite a significant AoE pulse. The final Hellfire is cast, and Ifrit should be defeated shortly after. Radiant plume safe-spot is around 2:30~ for this one. Garuda Extreme Mode strategy guide and Loot List! Slipstream: Avoidable cone stun that does extreme damage. Wicked Wheel: Garuda does Wicked Wheel whenever the adds are alive. It’s extremely powerful and should be avoided. 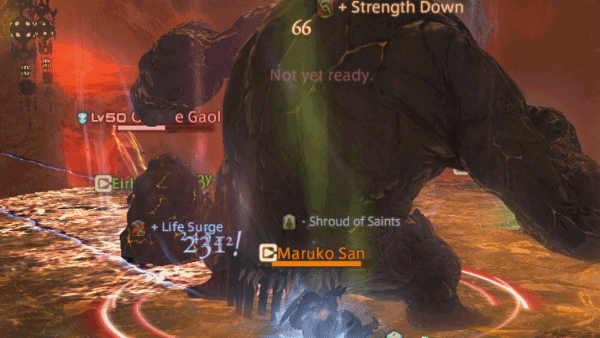 Whenever Garuda disappeard from the map, a large spread of AoE’s will follow in her last location. They deal moderate damage, and cause Windburn (Wind DoT). [Special] Wicked Wheel: Suparnas Wicked wheel is extremely powerful. For a non-tank, it’s a potential KO. It’s avoidable so GTFO. Slipstream – Channeled Frontal Cone stun. Downburst: A medium strength cone attack. [Special] Downburst: Chiradas downburst is extremely powerful. It’s a cone attack. The target is marked by a crosshair. While either Chirada or Suparna are alive: Garuda cannot be damaged. Razor Plumes: Like before, they target a stone pillar or guy, and will explode dealing damage after a set time. Spiny Plumes: The “Key” add to this fight. Upon killing it, releases an AoE which causes Windburn (Wind DoT). A short time after it’s death – it will put up a “Safe Zone” wherein Garudas Reckoning will do significantly less damage to those inside. The initial target of Spiny Plume seems to be the second Highest Enmity (and in some rare cases – the MT). Spiny Plumes give a stacking debuff to its target. If it reaches 3 stacks it will do “Super Cyclone” dealing tons of damage (Likely a KO) to everyone. 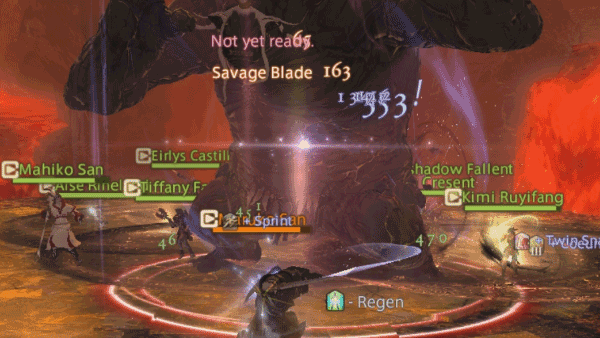 Provoking the Spiny Plume before its target reaches 3 stacks is important, and is one of the main reasons many groups will wipe. Starting Phase – All non melee stack dead center to avoid Friction hitting rocks. Once she vanishes, hide behind the rocks old-school style. Razor Plumes – Razor Plumes show up and target random rocks. Kill them asap. Again try to stack in the middle as much as possible, with the exception of tank and melee. This mini-phase has the usual “Vortex” mechanic. MT picks up Suparna(Red) and Garuda. Chirada must be tanked ACROSS the map from the others. If they’re too near each other -> they gain immense defense. Ranged DPS and healers should stay in a place where friction wont hit rocks. Downburst will hit the OT for heavy damage, but shouldn’t be much of an issue. On the MT side, WICKED WHEEL becomes a “one hit KO”. Make sure melee DPS and MT avoid this. 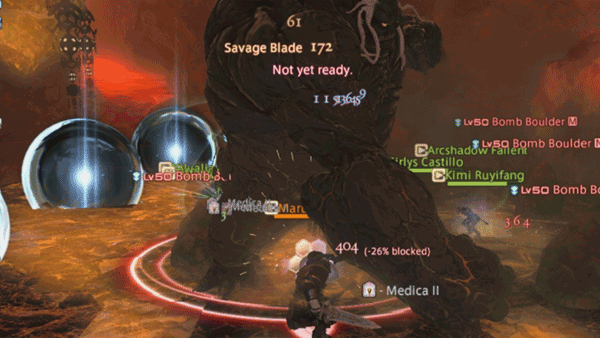 Using virus on both Garuda and Suparna is a good “insurance” in case tank gets hit. All forms of damage reduction / mitigation should be used in preparation. Chirada uses Downburst simultaneously with the Wicked Wheel on the other side. This always happens after Friction! Wind surrounds the outer ring of the stage, and players should remain near the middle, or suffer a pushback + large damage. Leave Spiny Plume at a low HP%. A rather simple phase, with no heavy incoming damage. A great time to use Mages Ballad, as you’ll be needing max DPS next phase. 5 Tornados spawn in static locations on the map, forming a cross-like (T) formation. The safe spots are located near the brown markings on the map (Where the pillars used to be). Chirada and Suparna show up during this phase. As usual, MT takes both Garuda and Suparna. Off-tank takes Chirada. And again, Suparna should be the first target. There are some things to note during this phase. The main difference in this phase is Tornadoes + Spiny Plumes. The MT’s position should be loose enough that the melee dps and himself can get away from the “Double Wicked Wheels”. Healers and Ranged DPS should stay at the very tip of the center tornado, to be in range of everyone. Like last phase, leave Spiny Plume at a low HP%, and destroy it at phase transition. There are four safe pockets – Ranged and healers should have a good spread. Remember not to kill the Spiny Plume too early, or too late! If you pass this phase, You go back to the Vortex Phase -> Tornado Phase -> Vortex Phase, repeats until Garuda is dead! Getting tired of Titan? Are you stuck in Titan Hard Mode? 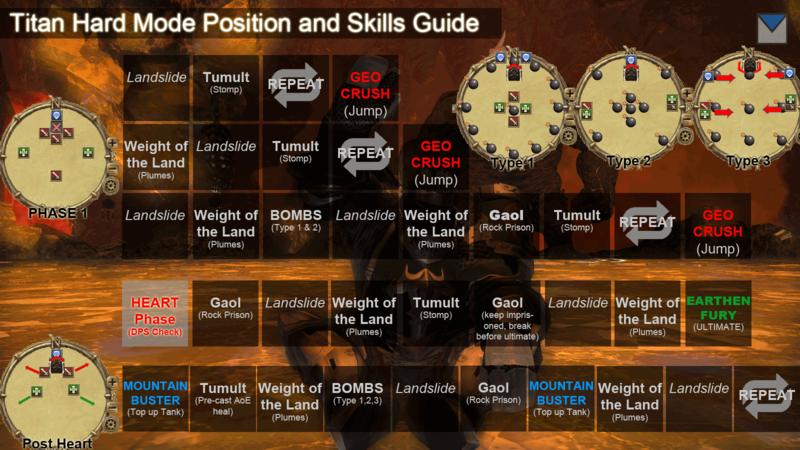 Keep your hopes up and let us guide you through one of the most fulfilling fights in FFXIV ARR. 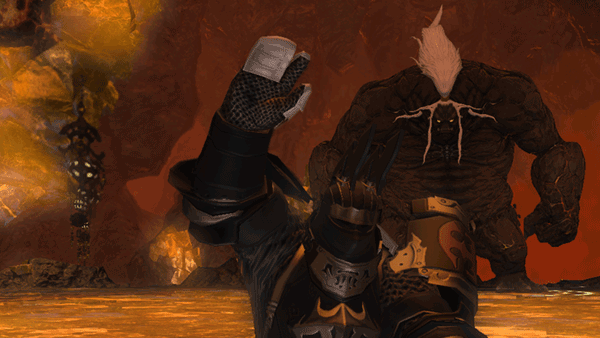 From deep within their mines, the kobolds have watched and waited for another opportunity to summon their Great Father and wreak havoc on Limsa Lominsa. With the destruction of Ultima Weapon, the final obstacle to their plans was removed, allowing the beastmen to summon their god without fear of imperial reprisal. Once more, it falls to you to ensure that the Lord of Crags never sees the light of day. The first LEGIT Gear check in the game, and if you have lag issues, get ready to die in this fight! We had fun learning how to play Titan and beat him. We will show you two videos below, one is our first defeat of Titan and the second is where we helped a few of our FC members get past him. One important thing to note is, all non-tank players must ideally have more than 3,500 life to survive this fight (specially important in the last phase where he does 6-8 Tumults straight). Lag and slow reaction time also play a major factor in beating Titan, you must be focused, know his rotation and position yourselves carefully in order to win. Landslide (Pushback): Like in Titan Story mode, watch out for this frontal pushback ability, if you get hit chances are you will fall from the stage, and the moment one party member falls its practically a wipe. Tumult (AoE): Back with a vengeance, in post heart phase, Titan can dish out 6-8 Tumults in succession. Weight of the Land (Plumes): Another skill from Titan Story mode, this time with a vengeance. It’s important the team positions themselves so that when he casts this they can move away to a safe position. Gaol: Much like the Story Mode mechanic, a random party member will get imprisoned and will be tagged with a determination down debuff (it’s important that the healers strip this debuff after the party member gets freed from the Gaol). Also, Titan sometimes casts Landslide on an imprisoned member of the team, make sure you wait till after he casts Landslide to free your team member. Earthen Fury (Ultimate): Same mechanic in story mode, if you do not defeat his heart in enough time Earthen Fury will destroy you! This is a DPS check and you will need to your whatever limit break you have to kill the heart. We usually time this right after the last Weight of the Land in the heart phase. Mountain Buster: Heavy hitting frontal cone attack (never stay near the tank in this phase or you will fall. Tanks need to time their mitigation for this skill if they are not topped up. DPS: All the DPS need to be careful of is avoiding Landslide, Weight of the Land and getting to know positioning during the bomb phases. They must also be conscious of their position so that the healers can have a place to run to when weight of the land hits. One the heart pops out, pop all DPS cooldowns and make sure to free whoever is in a Gaol. Note that when he casts Gaol the second time, the party should ignore the Gaol and focus on defeating the heart. We suggest to use your limit break, whether level 1 or 2 right after he casts the last Landslide or Weight of the Land. Once the heart is defeated immediately focus your attention on the imprisoned party member, if they are not freed from the Gaol before he casts Earthen Fury, the party member will fall. The scary phase here are the first 3, most specially for the healers who will need to ensure the tank is topped up just before Mountain Buster and immediately focus on healing the group in time for Tumult. Swiftcast for healers is an awesome and almost critical mitigating skill in this part of the fight. The Bomb phase always takes first timers by surprise. The key to dodging the bombs in this phase is not to PANIC. in the Bombs Type 3, always remember that the middle bombs will explode first, simply find where the last exploding set of bombs are and stay in that area (dont be afraid to stand next to a bomb! you will need to move because he casts landslide) just remember to move to the center right after he lets go of landslide. One more thing to note is that when he reaches about 25% life he increases the amount of Tumults he does from 6 to 8 times, this is where AoE healing and positioning is key. Weight of the land: Your dps and healers should already look for where to run BEFORE weight of the land hits. Because of this, unnecessary movements should be avoided. If you know WHEN the next weight hits, and WHERE to run beforehand, you will dodge it 100% of the time, believe me. Type 3 Bombs: The triple line bomb formation is the reason most people die. To be honest, it’s largely because they panic. All non-tank players should simply move to the middle-bomb of the last set that spawned. Once titan punches the ground, move towards the center. Simple as that! Mountain Buster: Both the tank and the healers should be aware of when the next “table flip” occurs. Tanks can pop a cool-down, and healers can pre-cast shields and heals. Note that every random damage that happens to the raid makes it harder for healers to keep the tank up to 100%. As a DPS, you got one job: Avoid damage. Finally, Good Luck in your fight with Titan! While your victory over the Ultima Weapon has set off waves of celebration across the land, the jubilation is short-lived, for the beast tribes are seeking to summon their gods once more. Confirmation has arrived that the Amalj’aa have already succeeded in calling forth Ifrit, who is returned far mightier than his last incarnation owing to the vast amounts of crystals he has gorged upon. Prepare yourself for a scorching encounter. Ifrit hard mode is the first hard-mode boss you will encounter, as the entry level eight-man encounter. His fight has three phases, and a transition in between. Interrupting Eruption is the key to winning this fight, from Phase 1 to end. Ifrit has 2 interruptible skills, Eruption and Radiant Plume. Interrupting Eruption is much more worth it. Why? It’s “harder” to dodge and predict Eruption, as compared to Radiant Plume. And in his final phase, Eruption pretty much covers 80% of the map. Phase 1 of Ifrit is just like Ifrit normal mode. He has the same abilities, but obviously much much stronger. Incinerate – The usual frontal cone attack, but it hurts like hell to non-tank classes. Face away from your party. Vulcan Blast – Massive PBAoE pushback. Healers, stay at maximum range to the tank to prevent getting hit by this. An untimely vulcan blast can mean getting into a bad situation. Eruption – The same random AoE attack which blows up after a certain time. Radiant Plume – A non-random AoE attack which blows up after a certain time. Either on the outer ring, or inner part. Crimson Cyclone – Ifrit disappears and randomly reappears in one end of the ring. After a short period he will dash forward all the way to the other end, dealing damage too all in his path. Increases to two “clones” after a while. Infernal Nail shows up again. This time, there are FOUR that spawn. Failing to kill these will result in an instant KO by Hellfire. Using a Summoner or Black Mage Limit Break is highly advised here, and makes this transition much easier. Eruption – Increases the number of AoE’s as time progresses. Again, you must interrupt these as they are deadly and can result in situations where a player can’t escape. 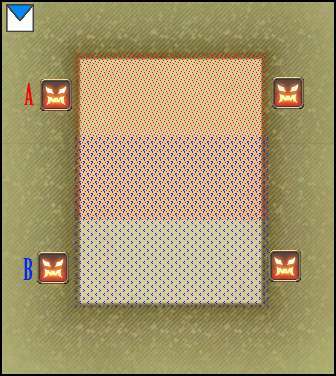 Radiant Plume – Radiant plume gains a third pattern. 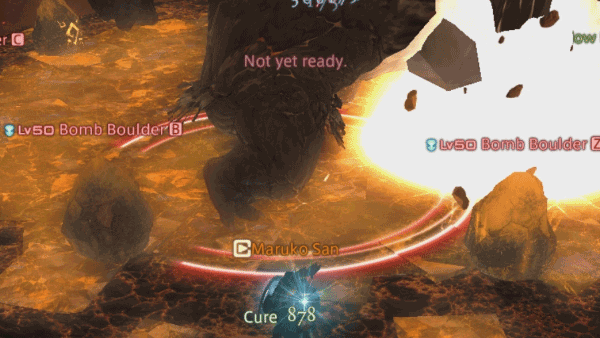 The only reliable safe zones are directly behind him, and in front of Ifrit. Ranged players, don’t stay too far from Ifrit at this point. You wont make it behind him in time. Crimson Cyclone – maxes out at 3 clones, and will usually kill anyone hit by 2. Ifrit drops Item Level 60 Weapons for all Classes. White Mage – Ifrit’s Cane. Scholar – Ifrit’s Codex. Monk – Ifrit’s Claws. Dragoon – Ifrit’s Harpoon. Black Mage – Ifrit’s Cudgel. Summoner – Ifrit’s Grimoire. He has all the same skills, only gaining Crimson Cyclone. 3 Clones max. Staying in between 2 of the clones is actually a safe zone. Again, interrupting Eruption is the key to winning this fight. Make sure you have one or two guys (preferably Paladin) to interrupt it. However, make sure it’s a coordinated effort because doing stuns unnecessarily will result in him RESISTING the stun. DPS and Healers, have faith in the cancelling of Eruption. If you’re running with a good group, don’t move out of it. More movement = longer fight. But to be safe you can make a run for it each time Eruption lands at your feet. Ranged / Healers – Do not stay too close to edge of the ring. An outer Radiant Plume will likely tag you, even if you run ASAP. Stay a good 25% away from the edge, as you can minimize movement to dodge either a inner or outer Radiant Plume.